Gilthead seabream (Sparus auratus) and European seabass (Dicentrachus labrachus) although can relatively tolerate low temperature, but cannot survive severe cold which could be encountered in Europe during winter and hence overwintering facilities may be required. 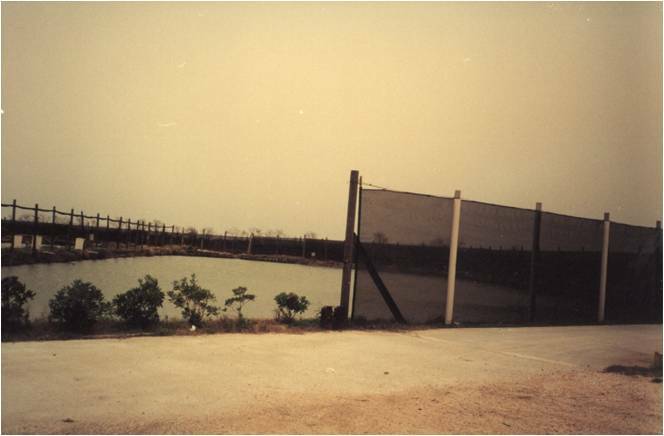 The photo shows a high curtain surrounding the earthen pond where fish are overwintered. The curtains can be managed (folded or stretched) according to the direction of prevailing winds. In this particular farm in Italy, underground water from deep wells (warm) has been supplied to the pond during the extreme cold weather.